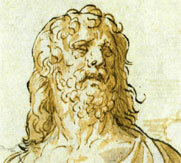 Born in 1955 in San Giovanni Valdarno, Massimo Callossi begins his artistic journey as self-taught man, attending in his youth the florentin painters Graziano Marsili and Renzo Grazzini and later with continuity the studio of Pietro Annigoni and more frequently that one of Romano Stefanelli, known in 1970. He has been active since 1975 and he begins his career the year after with a one-man show at the Circolo delle Cinque Vie, in Florence, where he was showed in the catalogue by Marsili, attending the "Rassegna Extempora '76" in Rufina where in 1977 he was invited again at the "Galleria Esposizione". 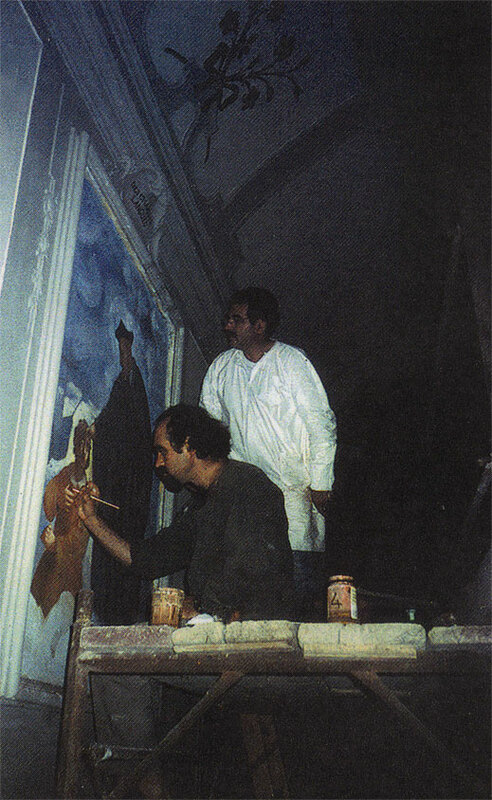 At the end of the decade, in 1979, he arranges the individual art exibitions at the Circolo Olivieri in Montevarchi and at the Town Hall in Assisi, going on with those of 1981 at the Convento di San Salvatore in Pietrasanta and in 1985 at the "Saletta TL" in Dicomano. 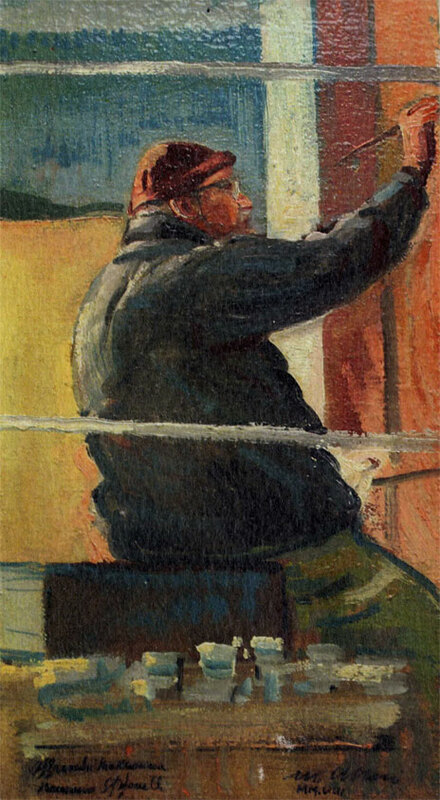 In the '80s he appears more distinctly on the florentin scene with the one-man shows in 1984 at the "Pontevecchio" gallery, in 1986 at the "Cimabue" gallery, in 1988 at the "Faustini" and in 1989 at the Brunelleschi exibition of the Innocenti Hospital, in the circle of the show "The man, the artist" in the meanwhile Callossi is submitted to more difficult tests, presenting in 1988 his own work at the Marconi Gallery in Forte dei Marmi and at the Biennal Exibition of Bergamo. In 1989 there is for him a turning-point, a reflection moment on his own possibilities and the recognition of his more true personal bents: from the catalogues of the exibitions that are staged at the "Bottega d'Arte" of Sergio Massagli, in Montecatini Terme, and at the art gallery "La Soffitta" in Quarrata, the elaborate medleys of symbolic objects and scenaries seen and soon analyzed by the fantasy, leave space to real Tuscany foreshortened figures (the Mugello as well the Valdarno, the beaches of the archipelago as well the countries in the environs of Florence) that are indicated with explicit and essential titles about chosen places and situations, as if he gave up every intellectual useless adjuncts. With this confidence and clearness he exibits, the year after,at the "Sala Puccinelli" in Castelfranco di Sotto and at the "Prestige" gallery in Perugia, winning the prize selection "Rotonda '90" of Dino Scalabrino Art Academy in Montecatini Terme. Here, with Sergio Massagli, he founds "Spazioimmagine" studio, the first of three school-laboratories of figurative arts that he actually directs:this is followed after two years by "Il Canto" studio in Borgo San Lorenzo and "Il Masaccio"studio in San Giovanni Valdarno. 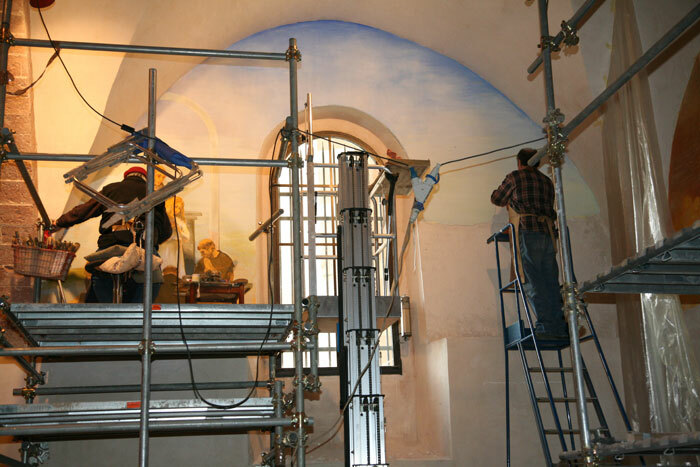 In 2013 the master Massimo Callossi began a series of frescoes in the Sanctuary of Santa Liberata in Cerreto Guidi Firenze, "L’incoronazione della Vergine" was completed in 2014. As a memory of the slaughter of Padule in 1945, the fresco "Crocifissione e Deposizione" was completed in 2015, and in 2016 the "Resurrezione del Cristo". 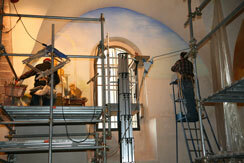 In January 2017 the master paints the fresco "L’ultima cena" in the sanctuary of Santa Maria di Lourdes in a village called "Le Botteghe" near Fucecchio, Firenze.